Experience unique sensations in Mallorca enjoying the activities offered by the Es Recó de Randa Hotel, to turn your holiday into an unforgettable experience. Also due to its location, the Es Recó de Randa Hotel is an excellent starting point for sports and leisure activities that Mallorca has to offer. Finca Treurer, situated approximately 1 km from our hotel, is the producer of one of the best crops that come from Arbequina olives. This oil is one of the best produced in the whole country, and is included in the Michelin Guide. When we do this tour, we walk up to the finca from the hotel, and enjoy the views of the village (it will take about 15 minutes to get there). On arrival we will walk around the finca, where we will be shown the olive trees and will have the opportunity, depending on the season, to see them in bloom, with small fruits or even about to mature. Then we will see how oil is stored and will be shown its production process. Then we will taste several types of oil in order to appreciate the difference between them. In addition we will be served a snack that will consist of "coca de Trampo" and bread with ‘sobrasada’, accompanied by Mallorcan organic wine, from another nearby farm. And so that you can enjoy the pleasure of sailing around the Mediterranean, one of our excursions is a boat trip from Colonia de Sant Jordi. Walking excursion to the three mountain sanctuaries of Randa: the sanctuaries of Gràcia, Sant Honorat and Our Lady of Cura; with typical Mallorcan snack at the top of the mountain at 530 metres above sea level. 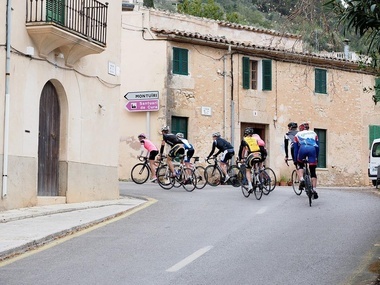 Due to its location and services, Es Recó de Randa is an ideal hotel for tourists who want to enjoy this sport in Majorca. 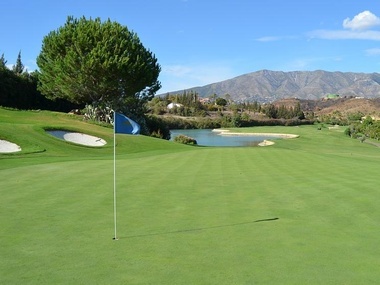 Mallorca, with its 24 golf courses is a paradise for golfers. 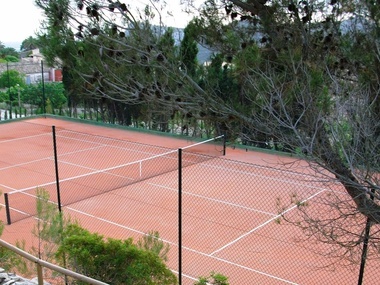 Clay tennis court in a privileged environment.